Although drill rigs are excluded from the recent OSHA crane rule, they present many of the same safety hazards that lifting equipment do. NCCCO brought its test development process together with drill rig industry expertise to build a top-quality certification program that will bring with it the same proven benefits as other CCO certifications have shown over the past 20-plus years. 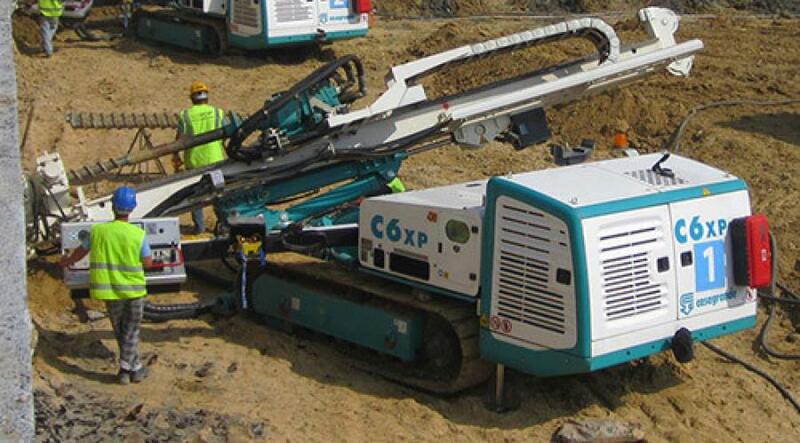 Foundation drill rigs and anchor/micropile drill rigs represent specialized equipment used in the construction industry for drilling cylindrical holes in the earth. Up until now, no independent mechanism has existed for operators to demonstrate the knowledge, skills and abilities required of this equipment. "The unique challenges and operational practices required by drill rig equipment necessitated new certification exams different from any other CCO program," said NCCCO Director of Operations Joel Oliva. 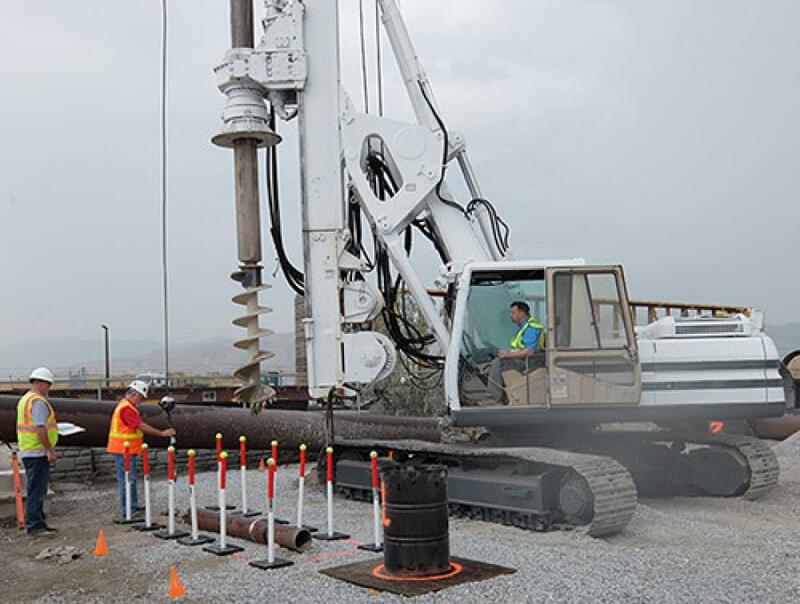 "The new Foundation Drill Rig [FDR] and Anchor/Micropile Drill Rig [AMP] Operator certifications address a need identified by the industry for an operator certification specifically designed for operators of these specialized machines." NCCCO developed the program in cooperation with the International Association of Foundation Drilling (ADSC). A task force of subject matter experts representing operators, users, owners, manufacturers, trainers and other stakeholdersdeveloped the written and practical examinations that individuals must pass to become certified. Task force members identified the knowledge areas and tasks necessary for safe drill rig operation. Using sound psychometric principles and the very best practices of test development they developed examinations that are fair, valid, reliable, and legally defensible. "ADSC has been delighted to work with NCCCO over the last two years in the development of this program, which will make a major contribution to ensuring drill rig equipment is operated in a safe and professional manner," said ADSC CEO Mike Moore. "By providing the industry with assessments that are specifically focused on the work that operators perform on a daily basis, we will ensure that operators are proficient and knowledgeable and thereby reduce risk and improve safety." Noting that OSHA does not currently require operators of drill rigs to be certified, Oliva and Moore observed that employers are nevertheless required to ensure they are trained and qualified. Certification can play a major role in that process, Oliva noted. "We fully anticipate safety-minded employers, general contractors and project owners, not to mention insurance companies, will recognize the value of CCO Drill Rig certification in risk mitigation, and leverage its power as a third-party independent evaluation tool," said Oliva. "By involving the entire industry in the program's development, we can ensure that the final product reflects current needs and brings value to the industry as a whole". To achieve certification candidates must take the Drill Rig Operator Core written exam and at least one written specialty exam (Foundation Drill Rig and/or Anchor/Micropile Drill Rig), as well as the corresponding specialty practical exam. The written exams cover a wide variety of knowledge areas critical to drill rig work, including pre-operations, site conditions, operations, technical knowledge, tooling, and communication. The practical exams require candidates to demonstrate their ability to operate the equipment and to utilize skills they habitually apply to in-the-field activities. The foundation drill rig practical exam includes tasks related to inspecting the equipment, site safety protocols, identifying operational controls, picking up and laying down pipe, tool positioning, drilling, and safe shutdown/securing. The anchor/micropile drill rig practical exam includes tasks related to inspecting the equipment, forward and reverse travel, vertical drill steel joint, angled and vertical drill steel placement, and safe shutdown/securing. Full documentation for candidates and test sites preparing for the CCO drill rig operator certification exams is available at nccco.org/DRO; free PDFs of the Drill Rig Operator Candidate Handbook and Test Site Coordinator Handbook can be downloaded from nccco.org/handbooks. For more information, call NCCCO at 703/560-2391, ext. 202, or email info@nccco.org.